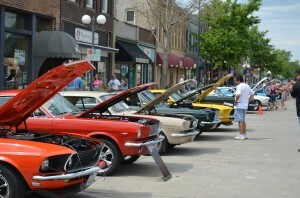 For more information on the 40th Annual Mustang Club of Central Iowa Car Show & Swap Meet, please click here. Our annual car show is open to all Ford powered vehicles. With many different classes of cars, we attract a large variety of top-notch show cars from all over the mid-west. Since the club is a region of the Mustang Club of America, we offer both MCA-judged classes and 38 popular vote classes (something for everyone!). To round out our show, we also have a swap meet (with both commercial and private vendors) and a pony corral (cars for sale).